A brief overview of our team members and our qualifications for companies that are in need of a Bookkeeper, Payroll Administrator or Tax Professional. We are Performance-driven financial professionals with extensive progressive Bookkeeping, Payroll Administration, Accounting and Analytical experience. a Tax Specialist who specializes in Personal, Corporate and Small Business Tax Returns. Affinity Bookkeeping Solution Inc.’s Management Team . . .
Suzanne has been a bookkeeping business owner since 2001.
achieved the Intuit QuickBooks ProAdvisor for bookkeeping certification. 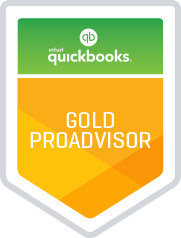 achieved the Intuit QuickBooks Online ProAdvisor ADVANCED certification. She is accomplished in all full cycle bookkeeping and accounting duties. He was the Controller of an international organization for several years. Kevin achieved the Intuit QuickBooks Online ProAdvisor ADVANCED certification. For 25 years Suzanne worked her way through various accounting positions within one of the world’s largest insurance companies in the world, giving her extensive accounting knowledge and experience. She advanced through the positions of Reconciliation Technician, Accounts Payable & Receivable, Senior Accounting Analyst, and finally Payroll Administrator in Human Resources. For over 25 years Kevin advanced through various Managerial Accounting positions including Financial Analyst, National Billing Analyst, Accounting Supervisor up to Controller. Through education and work experience his areas of expertise cover all aspects of the accounting field.